But gradually it dawned on me. 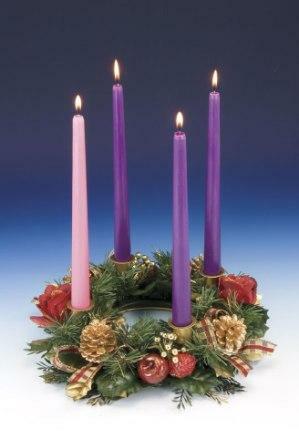 Christians desire the coming of Christ into their lives in new ways, a desire that is heightened during Advent. The beautiful readings from the Book of Isaiah, which we hear during Advent, describe how even the earth longs for the presence of God. 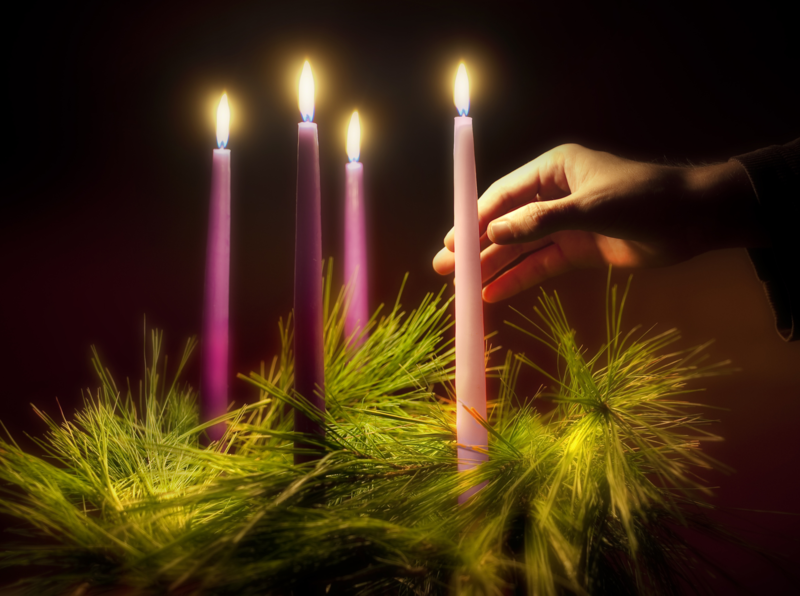 The wonderful “O antiphons,” sung at evening prayer and during the Gospel acclamations towards the end of Advent, speak of Christ at the “King of Nations and their Desire.” The Gospel readings in the coming weeks tell of John the Baptist expressing Israel’s hope for a Messiah. Mary and Joseph look forward to the upcoming birth of a son. My friend was right. It’s all about desire. But there’s a problem: desire has a bad rep in some religious circles. When some of us hear the term they think of two things: sexual desire or material wants, both of which are condemned outright by some shortsighted religious leaders. The first is one of the greatest gifts from God to humanity; without it the human race would cease to exist. The second is part of our natural desire for a healthy life--for food, shelter and clothing. Desire may also be difficult for some people to accept in their spiritual lives. One of my favorite books on Ignatian spirituality is The Spiritual Exercises Reclaimed, written by Katherine Dyckman, Mary Garvin and Elizabeth Liebert, three women religious. In his classic text, The Spiritual Exercises, St. Ignatius Loyola repeatedly recommends praying for what “I want and desire.” For example, a closer relationship with God. Or a particular grace during a meditation period. The three authors astutely note that this dynamic may present obstacles for some women. "Women may often feel that paying attention to their desires is somehow selfish and that they should not honor their desires if they are being truly generous with God." The authors strongly encourage women to resist that tendency and to "notice" and "name" their desires. To claim them as their own. Holy desires are different than surface wants, like "I want a new smartphone” or “I want a bigger office.” Instead I'm talking about our deepest longings, those that shape our lives: desires that help us know who we are to become and what we are to do. Our deep longings help know God’s desires for us, and how much God desire to be with us. And God, I believe, encourages us to "notice" and "name" these desires, in the same way that Jesus encouraged Bartimaeus, the blind beggar in the Gospels, to articulate his desire. “What do you want me to do for you?” he asked the blind man sitting by the roadside. “Lord, I want to see,” says Bartimaeus. Why does Jesus ask Bartimaeus a seemingly idiotic question? After all, Jesus knew that the man was blind! For one thing, Jesus may have wanted to offer him the freedom to ask, to give the man the dignity of choice, rather than simply healing him straightaway. For another, Jesus knew that recognizing our desires means recognizing God's desires for us. Jesus may have asked Bartimaeus what he wanted because our longings help us learn something about who we are. It's so freeing to say, "This is what I desire in life." Naming our desires may also make us more grateful when we receive the fulfillment of our hopes. Desire is also a primary way people are led to discover who they are and what they are meant to do. On the most obvious level, two people feel sexual, emotional and spiritual desire for one another, and in this way discover their vocations to love. A person feels an attraction to becoming a doctor, or a lawyer, or a teacher, and so discovers his or her vocation. Desire helps us find our way. But we first have to know them. The deepest-held longings of our hearts are our holy desires. Not only desires for physical healing, as Bartimaeus asked for (and as many ask for today) but also the hope for change, for growth, for a fuller life. And our deepest desires, those that lead us to become who we are, are God's desires for us. They are ways that God speaks to you directly, one way that, as St. Ignatius Loyola says, the “Creator deals directly with the creature.” They are also one way that God fulfills God's own dreams for the world, by calling people to certain tasks. Desire plays an enormous role in the life of a Jesuit. As novices, we were taught that our deep longings are important to notice. A young Jesuit who dreams of working with the poor and marginalized, for example, or studying Scripture, or working as a retreat director, will be encouraged to pay attention to his desires. Likewise, Jesuit superiors reverence these desires when making decisions about where to assign a particular Jesuit. In reply, Ignatius would ask, "Do you at least have the desire for this desire?" Even if you don't want it, do you want to want it? Do you wish that you were the kind of person that wanted this? Even this can be seen as an invitation from God. It is a way of glimpsing God's invitation even in the faintest traces of desire. Adapted from The Jesuit Guide to (Almost) Everything. Thanks for the inspiration! I do feel that Advent desire for Christ, and I'm also aware that I'm morphing my former desires for relationship and romance into a passion for social justice advocacy. This is so beautiful. Thank you for clarifying the word "desire". For a long time it seemed that I lived only in my head, which prevented me from really feeling, touching, seeing, hearing, tasting what is out there at the moment. Years ago somebody said I was a walking brain, devoid of emotion....I guess I was really a monster! I was a teen-ager at the time. Looking back I think I was just so fearful and insecure. Living in my head was a form of self defense, you could say. I was so sensitive, I didn't want to appear wimpy and vulnerable, so I intellectualized everything that seemed painful. Then I grew up and became a human being when I finally accepted everything about me, the good, the ugly, the warts and all, but especially, the bad. James Martin, S.J., is an author and editor at large of America.